Boy, has Jake Gyllenhaal been a roll as of late. He stunned me last year in "Nightcrawler," a movie I think everyone needs to see at least once. I recently revisited "Nightcrawler" a few years ago, and I am stunned silent. So much raw power in one performance, and I think its insane. I can't believe Gyllenhaal pulled it off so well. But then I take it back, because I know how good Gyllenhaal is. I think we are just beginning to see how talented and how versatile a performer he truly is, and time will tell just how wide of a range he will create for himself. "Southpaw" is no different. Once again, Gyllenhaal packs lots of raw power into one performance. Gyllenhaal alone is worth the price of admission, and he's already surrounded by great performers doing outstanding work. Forest Whitaker. Rachel McAdams. Heck, even Curtis "50 Cent" Jackson comes off like he's won an Oscar before in this. There is even a performance by a young, up-and-coming performer named Oona Laurence, who does impeccable work as Gyllenhaal's daughter. This is definitely a movie which could contend for the acting spots in this years awards circuit, although it may have come out a little too early to be in the running. As for the movie itself? Well, its just a boxing movie. This is just a grittier and grimier version of "Rocky." If you've seen "The Fighter," you've seen "Southpaw." If you've seen "Cinderella Man," you've seen "Southpaw." Directed by Antoine Fuqua, "Southpaw" is an effort which decided to leave the "just" intact, instead of ripping it out and making something of its own. The memorable performances by the principle cast may distract you with their shock and awe, but that is all they are, a mere distraction. A placeholder in order to shift your attention away from the familiar plot and overreaching clichés. The movie has very good performances, great. But performances aren't everything, nor should they ever be. The great movies of our time are great because they are all encompassing. The acting, the writing, the direction, the sets, the costumes, the music, all of this and more has to be on par with one another, in sync to each other's beats. If a movie has a good performances, I will certainly let you know, but I have never been able to give myself to a movie just because of its performances. Which is why I firmly believe that "Southpaw" is good, but could have been so much better. "Southpaw" tells the story of Billy "The Great" Hope (Gyllenhaal), a kid who grew up in the system but became a great boxer. He has a beautiful wife Maureen (McAdams), a cute daughter (Laurence) and a comfortable life. But then tragedy strikes, and he not only loses his family, but his manager (Jackson), his home and his morale. He doesn't know how he can possibly recover, until he finds work at a gym, run by Tick (Whitaker). Tick agrees to retrain Hope as a boxer but Hope has to work as the gym's janitor. But what am I doing rambling on and on? You already know how this ends, and if not, you can probably figure it out faster than it would take me to type it. 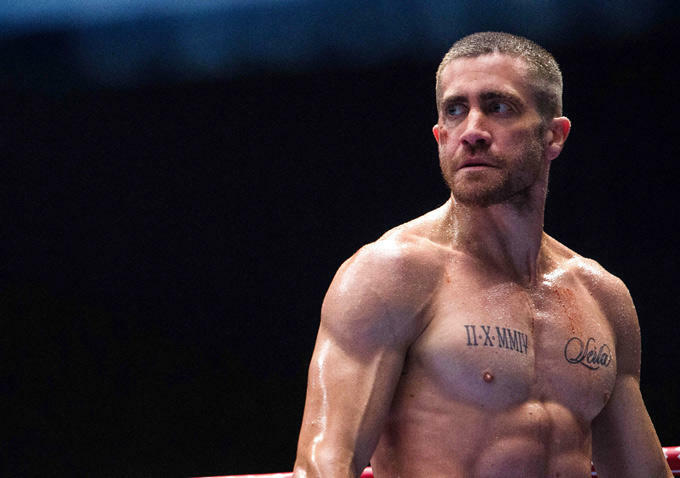 "Southpaw" doesn't even try to hold anything back, it throws everything you would expect to happen right at the screen. There is no twisting or playing with any clichés, any norms, anything really. This is as regular as sports movies get, and I find it a little unbelievable that so much talent was wasted on such an ordinary script. If you love sports movies, if you crave those familiar clichés and love just how ordinary the genre prides itself on, go ahead and see "Southpaw." Its a little rougher around the edges, and its acted out better than it needed to be, so compared to most other sports movies, it will fit the bill perfectly. But if you wanting this genre to stop playing it safe, skip it. Because that ship doesn't dock there. But for what it is, "Southpaw" does pack a punch.